To awake to a melodious concert of bird song, with the pale light of morning filtering through the chinks of eighteenth century shutters in a magnificent four-poster bed, feeling at peace with oneself and the rest of the world, a rare occurrence in life, is an experience beyond words. I still remember the sense of wellbeing on closing my eyes, enveloped by the frescoed vault over my bed, after an interminable day of meetings, and the pleasure on awakening next day to find myself still enwrapped in such beauty. This beauty filtered beyond the windows of my room into the garden, extending from within to embrace and cradle it: a garden which had been shrouded by nightfall to be revealed again at dawn. They say that the best moment to stroll through its avenues is in the first hours of daylight: only then are the smells, colours and freshness of nature revealed, perhaps in a dewdrop perched on a tiny bud, wilfully struggling to see sunlight. I must admit that I agree, even though wandering round a park on a cool spring day, searching for secular trees or new shows of flowers, gives rise to different emotions according to the movement of sunlight. To have the chance of experiencing this from dawn to dusk is a priceless experience! 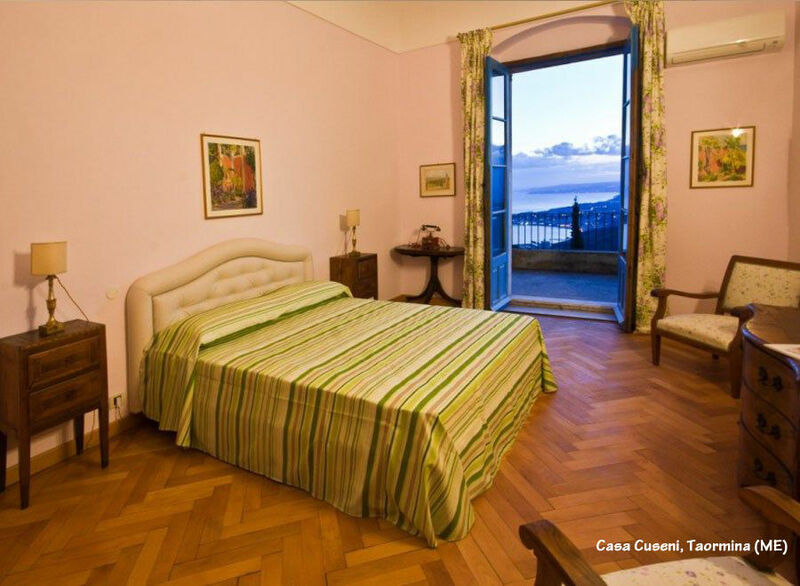 It is such a treat to sleep in the Grandi Giardini Italiani! Here I will accompany you through 25 Gardens, 25 Histories, 25 Destinations to enjoy the Grandi Giardini Italiani even by night! There is no dearth of opportunities to revel in the atmosphere of the setting sun in a manor house or a Suite de Charme in one of the Great Italian Gardens whilst exploring the Italian peninsula from north to south. Outstanding highland landscapes, dominated on three sides by the Alpine chain, offer a picturesque succession of mountain ranges and valleys. Here it is possible to savour the mediaeval atmosphere when staying in the Farm Hotel in the recently restored ancient farmstead buildings in the Palazzo Malingri di Bagnolo Park. The Farm Hotel lies on the sloping foothills of the Po Valley in Cuneo province, immersed in a two hectare park of secular trees, reached through a small doorway in the Palace courtyard. It is difficult not to marvel when suddenly confronted by this green sea, dominated by an elliptical stone pool in its midst known as the “Green man fountain”, referring to a long-forgotten legend, now sheltering small fish and newts nibbling the waterlily stalks. Alternatively you can be enchanted by the uncontaminated nature in the Alps at Trivero, near Biella, in the Albergo Ristorante Bucaneve (Snowdrop Hotel and Restaurant) within the Zegna Oasis. You will be astonished at the spectacle of the majesty of the Po Valley unfolding before your eyes and the suggestive glimpses over the Upper Sessera Valley. Here you can revel in the luxury of choice from one of the traditional wellness treatments, such as natural aesthetics, hydrotherapy, naturopathy and phytotherapy to restore your body. Available from March 2017 The gardener's houses of Pralormo Castle, rural suites eighteenth century placed along the walls of the castle. The current renovation will make possible to rent the apartments, once inhabited by people who worked in the castle. Recently, however, the small Relais di Charme by Villa Ottolenghi Wedekind in Acqui Terni in the province of Alessandria offers its guests the opportunity to immerse themselves in the magical scenography of the park by the famous landscape architect (Pietro Porcinai, visit the Mausoleo or Temple of Herta, the Ottolenghi private museum and the Cantina. 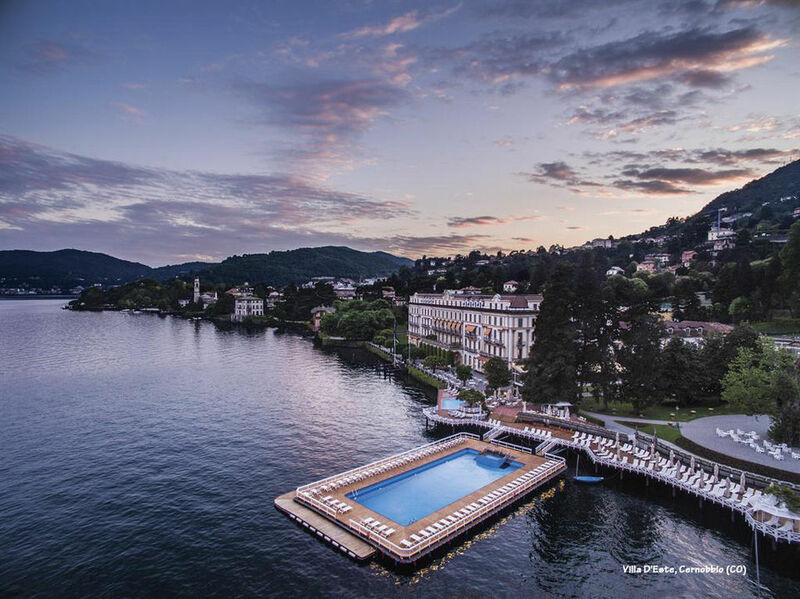 Aim for the Villa D'Este Hotel de Charme at Cernobbio, in the heart of the Po Valley, reflected in the calm waters of Lake Como. Housing the European nobility for centuries, this is now an elegant five-star resort, one of the most renowned in the world. Guests have the exclusive privilege of sleeping in sumptuous suites with four-poster beds and frescoed ceilings, with period furnishings, paintings and prints, as well as silks, brocades and velvets of rare quality and luxurious marble bathrooms. All this is rendered more precious by splendid views over the famous banks of Lake Como, its Gardens and the secular Park embracing the Villa which only reveals its beauties to guests. In Varenna, nestled in the Lecco branch of Lake Como is Villa Cipressi to stay in the heart with its complex of buildings and gardens full of history built mainly between 1400 and 1800. Once owned by the noble Serponti family (1163 ), passed to the end of the eighteenth century in the hands of the Baron Isimbaldi and later it was bought by the family Andreossi, who took care of the Park in particular, to move to the early twentieth century in the property of Sir Astley and Sir Salton , first, and the publisher Accame, then. Today it presents itself as an elegant and refined hotel that stands out for its harmonious combination of functionality and tradition, between modernity and history. Treat yourself to a relaxing rest in the Roncade Castle, in Treviso province, part of this thriving, prosperous region, land of cultural and artistic ferment, one of the foremost in Italy in terms of tourism. The fairy-tale Castle is a true repository of an original renaissance mansion. The present owner is passionately interested in wines and an expert connoisseur of vinification techniques, undoubtedly able to quench your “thirst” for knowledge. Otherwise, the Residenza Borgo 27, Villa Arvedi awaits you at Grazzano, in Verona province. Here hospitality is guaranteed in a splendid late nineteenth century home, originally the summer residence of the Bertani family: a little jewel set into the Lessinia foothills, an extraordinarily panoramic position. The period furnishings and knick-knacks in the rooms provide a pleasant trip through history. Imposing mountainous territory and rolling hills tinged with the varied greens of Mediterranean scrub, looking out over the Ligurian sea with high, jagged coastlines, Liguria is the ideal destination for anyone seeking mountains, sea, nature, culture or mere diversion. The Genoa province offers the extraordinary opportunity of spending the night in one of the 11 rooms, located in the main building of the Abbey and the ancient Saracen Tower of La Cervara Abbazia San Girolamo al Monte di Portofino at Santa Margherita Ligure. This exclusive experience is dedicated to those lucky enough to choose this spot to celebrate a private event. At Sant'Olcese, on the other hand, the splendid Villa Serra Historic Park, boasting a collection of hydrangeas unique in Italy, welcomes guests in the Locanda del Cigno Nero (Black Swan Inn). The restored crenellated tower is redolent of the mediaeval atmosphere of past times. 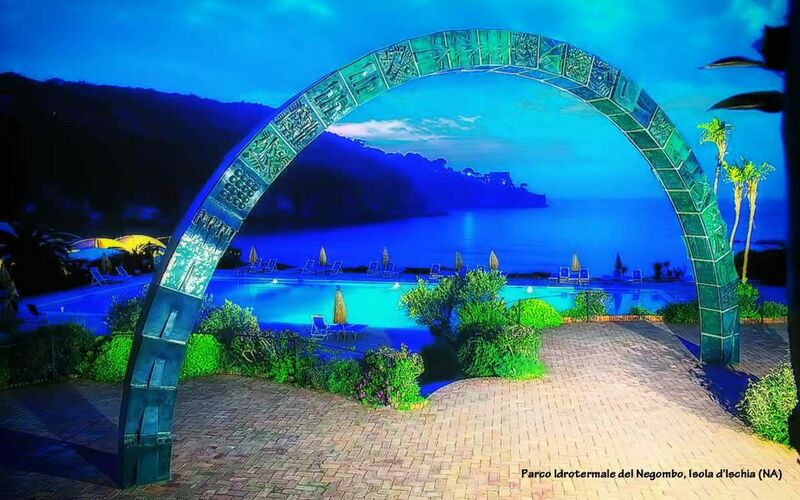 If you are seeking for a spell of charme et relax to enjoy sea and nature, the Villa della Pergola Gardens at Alassio, in the Savona province, would be a good choice. Here, immersed in one of Italy's most beautiful parks, overlooking the splendid Gulf of Alassio, Villa della Pergola, Villino della Pergola and Casa del Sole, an elegant architectural masterpiece from the late 19th century, offers comfort to visitors in an environment where elegance mingles with a warm family atmosphere. After a period of neglect and decay, the park was saved from property speculation by Silvia Arnaud Ricci, already deeply involved in conservation of the land around Alassio. Don't miss the chance of tasting the cuisine managed by the executive chef Giorgio Servetto: a mixture of Ligurian traditions with Piedmontese and French influences, reinterpreted in a modern key. In Emilian territory, at Varignana, in the Bologna province, be won over by the fascination of an 18th century Villa, skilfully restored to its original splendour. Palazzo di Varignana Resort & SPA, an elegant, impressive structure with a backdrop of Emilian countryside, is now an exclusive location in which to relish moments of relaxation or to finalise important work commitments. The building, once a manor house, is set in an enchanted Giardino where nature and formal elements merge with irresistible spontaneity. At Tredozio, in the Forlì-Cesena province, the simple, austere elegance of the Torre Fantini B&B is fascinating. Here too, the respect for tradition in the restoration evokes the past, preserved in white and pink – colours distinguishing the different homesteads of the farm – and the effigy of the cockerel on the façade referring to the family coat of arms. The hospitality is intimate and exclusive, dealing with individuals rather than large numbers, concentrating on the privilege of offering a holiday in one of of the three elegant bedrooms overlooking the splendid Giardino all'italiana. The suites of the Labirinto della Masone at Fontanellato, a few miles from Parma, round off this excursus into Emilian territory. They will be available to visitors from this autumn. I can't wait to try sleeping in the heart of the world's biggest maze! The Seghetti Panichi Park, the first Italian historic garden comprising vast bioenergetic areas, is the ideal place to spend a holiday in nature, amidst elegance and comfort, in a highly cultural spot. At Castel di Lama, in the Ascoli Piceno province, hospitality in the Borgo Storico (old town) is provided in the 6 suites, 5 apartments and the Casa d'Artista: different tesserae in a single mosaic showing the story of the Borgo and its splendid garden. In the heart of Italy, just a stone's throw from Florence, cradle of the Renaissance and the Italian language, lies a timelessly fascinating area including Mugello, Montagna Fiorentina, Valdarno, part of Chianti and Valdelsa near Empoli, offering varied environments and landscapes. 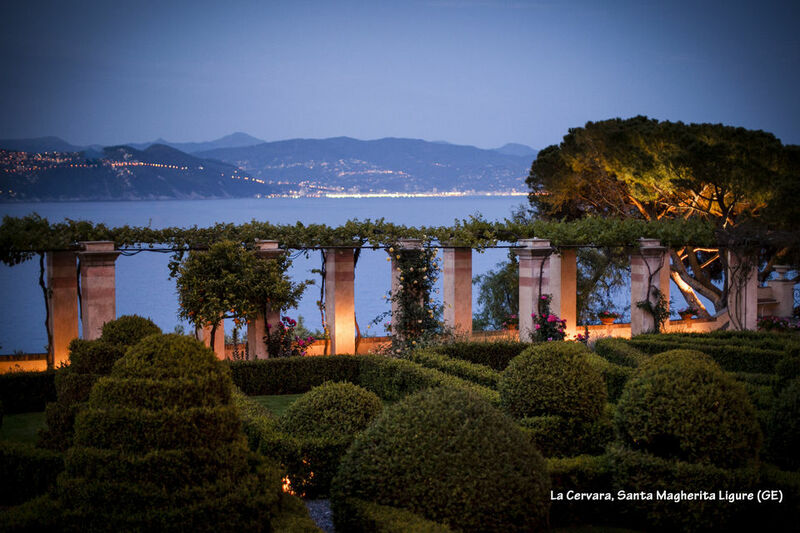 Here two gardens belonging to the Grandi Giardini Italiani network offer hospitality in their splendid historic homes. At Candeli, on the banks of the Arno, in the Chianti Region, a quarter of an hour from the centre of Florence, the Villa La Massa Hotel is a bucolic, peaceful oasis surrounded by olives, vines and cypresses as far as the eye can see. Villa La Massa, an architectural jewel from Medici times, displays the life style of the Florentine aristocracy. The rooms, namely Suite and Junior Suite, are in four separate pale yellow and dusty-pink buildings: Villa Nobile, the 15th century Mill, the Villino and the Casa Colonica. Furnished in Tuscan style with wrought iron four-poster beds , frescoed ceilings, ancient terracotta and wooden wainscotting, elegant upholstery and fine marble bathrooms, all offering breathtaking views over the surrounding garden or the banks of the Arno nearby. Settignano, on the other hand, offers a surprise. The poky lanes leading from the road up the hillside hide secret spots with majestic views over Florence which have enchanted many literary figures including Gabriele D'Annunzio and Mark Twain. One of these, through which a car can barely squeeze, leads to a little yellow doorway catapulting one into the marvellous secret garden of Villa Gamberaia. 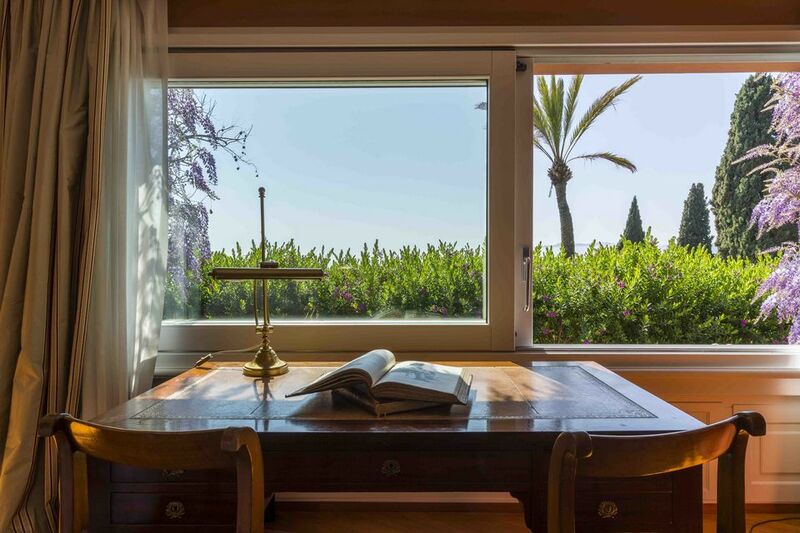 Here it is possible to stay in the main body of the Villa, or in the buildings on the estate which have been skilfully restored and transformed into guest houses, fully furnished apartments available to guests for brief or longer stays. 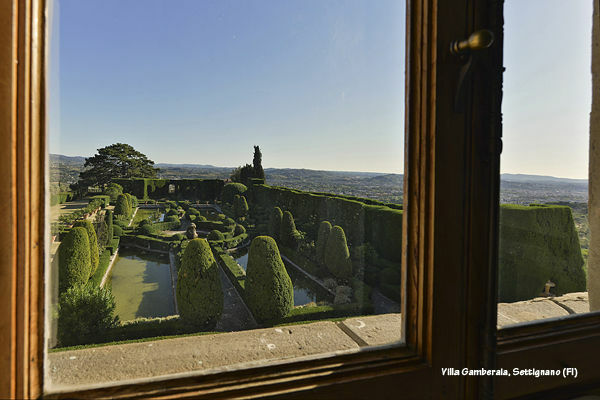 The amazing 18th century gardens frame the buildings, an incredible planted terrace with a splendid view over Florence. Watching the sunrise from this secret garden arouses mystical emotions. At Canale Monterano, the Stigliano Botanical Gardens, a truly uncontaminated oasis only 50 minutes from the frenetic cities of Rome and Viterbo, adorn the Grand Hotel delle Terme di Stigliano, a home built over the remains of ancient Roman temples, offering hospitality in an elegant, refined atmosphere since 1700. The formal hospitality of this luxury hotel is skilfully combined with a warm family environment and to stay here will leave an indelible mark on the heart. The best moment to enjoy the benefits of the thermal baths is at sundown when everything around is silent, giving body and mind a chance to regenerate. For those who love the Lazio hinterland, near the ancient Via Francigena, the Chalet delle Rose, in the heart of Rieti province, at Roccantica, is a delightful cottage immersed in vegetation next to the Vacunae Rosae Rose Garden. This is the ideal place to relax, spending a weekend away from the world, or to wallow in romance for a few days with a special person surrounded by silence, peace and intimacy. At Lacco Ameno, on the island of Ischia, the Parco Idrotermale del Negombo, boasts a stylish small hotel: Hotel della Baia. The building has a fascinating setting, a hydrothermal park respecting the millenial culture of the site, full of surprises and unexpected solutions. The spacious, airy rooms, furnished with the latest design and contemporary sculpture, with breathtaking views over the bay and park, make this rare jewel a fantastic alternative to classic “period” hotels. I advise anyone wishing to stay in places brimming with history and fascination, without renouncing warm but professional family service, to go to Sicily to admire the enchanting gardens of historic homes only open to the public on certain occasions, and to experience their charms from dawn to dusk. On the north-west coast of the island, in Palermo, you will be bewitched by the fascination of the Tenuta Regaleali and Villa Tasca where to stay in their enchanting suites is like living in a dream. An idyllic spot immersed in the scents of nature while enjoying the simplicity of home cooking accompanied by excellent home-produced wines. Moving towards the eastern point, at Taormina in the province of Messina, awaits the warm, comfortable welcome of Casa Cuseni, not only famous for being a “museum home” and “literary salon”, but also for the great affection reserved for prestigious clients (men of letters, painters, sculptors, musicians, scientists and actors, both Italian and foreign). It is no mean feat to have stayed in a home declared to be a “national monument”, with the mistress of the house available to guide you through the marvels of the island of “The Leopard” or to reveal anecdotes on the lives and loves of her illustrious guests, jealously remembered within these walls. Moving south to the province of Catania, halfway between Messina and Siracusa, the choice falls between the Agriturismo B&B Azienda Trinità in the Garden of Villa Trinità, at Mascalucia, or the apartment of the Casa Pennisi Garden, at Acireale, with the option of the exclusive rental of the whole unit or for one of its splendid suites. The first is a delightful holiday farm immersed in a magnificent verdant oasis of roughly 3 hectares including a splendid botanical garden and a citrus grove. Good wine and typical local products can be tasted in the area of the old wine press, where the grapes were once squeezed. In tune with the warm family hospitality, great attention is paid to “little” guests who will be fascinated by ''Paperopoli'', a space designed for children where different farmyard animals roam free. Lastly the large swimming pool offers refreshment on the island's hot summer afternoons. The second is an enchanting apartment in the Villa's main building, still a private residence. The kitchen leads to a terrace overlooking the marvellous garden, miraculously saved from the brutal speculation of the last century. It is said that Richard Wagner finished composing Parsifal here in 1882, his last musical drama. To sleep here, lulled by the gentle swish of the sea, is a dream worth experiencing! My journey ends here, enraptured by so much beauty, confident of having transmitted the warmth and fascination of these places. For any further information or to relate your personal experiences please write to: media@grandigiardini.it. It only remains for me to wish you “buon viaggio”!